WHAT: The University of Illinois Springfield will host the Honorable Fatih Yildiz, Consul General of the Republic of Turkey to Chicago, who will discuss the relationship between the U.S and Turkey and other issues facing his country. WHEN: Friday, April 5, 2013 from 2 to 6 p.m.
WHERE: Yildiz will speak from 2 to 3:30 p.m. in the Diversity Center, located in the UIS Student Life Building, Room 22, as part of a soup and conversation event. Following that presentation, a reception in his honor will take place from 4 to 6 p.m. in the UIS Public Affairs Center 3rd floor atrium lounge. During the reception, Yildiz will present a political overview of Turkish and U.S. relations. Welcoming remarks will be delivered by UIS Chancellor Susan J. Koch. Both programs are free and open to the public. DETAILS: Yildiz has a strong background in foreign relations and civil service stretching back nearly two decades. 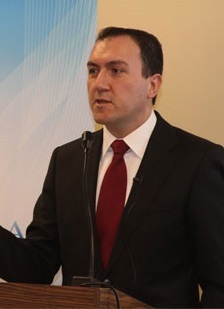 He was appointed Consul General of the Republic of Turkey to Chicago in September 2010. Prior to his accepting this position, Yildiz had been a part of the Ministry of Foreign Affairs (MFA) since 1994, serving in various capacities. After serving two years in military service, Yildiz began his career in the MFA at the Department for Balkans as an Attaché and later at the Turkish Embassy in Sarajevo. He later moved on to serve as Second Secretary and First Secretary at the Cabinet of the Undersecretary of the MFA for two years before serving as First Secretary and Counselor at the Turkish Embassy in Washington, D.C. for four years. 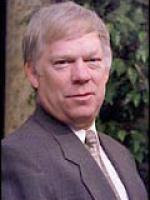 Most recently, he worked as the Director of the Department of Human Resources at the MFA from 2008-2010. For more information, contact Jeannie Capranica, UIS Diversity Center Program Manager, at 217/206-6584 or jjone1@uis.edu. WHAT: The University of Illinois Springfield presents the second annual Student Arts & Research Symposium (StARS). 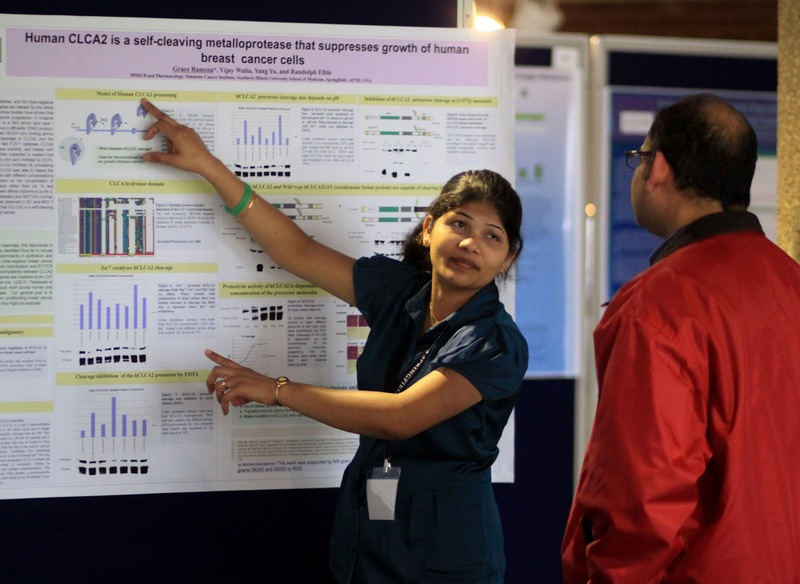 The two-day event showcases student research and creative activities during the academic year. WHEN: Thursday, April 11 from 5 p.m. to 10 p.m. Friday, April 12 from 9 a.m. to 10 p.m. The symposium events begin on Thursday, April 11, with musical performances, the launch of the student-run literary journal Alchemist Review, and a performance of the play Awake and Sing in Brookens Auditorium. In addition to student presentations, art exhibitions, and music performances, the symposium will feature two keynote speakers. The first keynote will be delivered by Dr. Ryan Ewing, who is exploring the surface of Mars with the NASA Curiosity rover team. He is an assistant professor of geological sciences at the University of Alabama. Ewing will speak on Friday, April 12 at 1:30 p.m. in Brookens Auditorium. 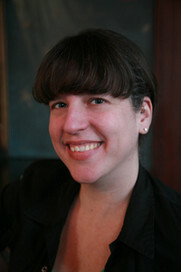 The second keynote speaker is Mary Jo Bang, the author of six books of poems, including The Bride of E (2009) and Elegy (2007), which received the National Book Critics Circle Award. Bang will speak on Friday, April 12 at 6 p.m. in Brookens Auditorium. View the schedule at www.uis.edu/undergraduateresearch/stars/index.html or contact Meagan Cass, assistant professor of English, with questions at 217/206-8358 or mcass3@uis.edu. The University of Illinois Springfield’s popular Friday Night Star Parties will resume in April. Those dates include: April 5, 12, 19, and 26. Friday Night Star Parties are held from 8 to 10 p.m., weather permitting, at the UIS observatory on the roof of Brookens Library. Star Parties are hosted by John Martin, assistant professor of Astronomy/Physics. 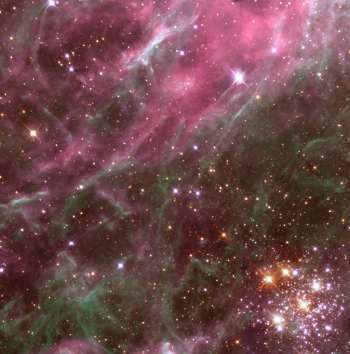 The observatory’s telescopes will be used to view a number of celestial objects, including the planet Jupiter, the Moon, the Great Nebula in Orion (when visible) and other double stars and star clusters. A typical Star Party begins with a presentation as visitors ascend the stairs to the observatory, learning about galaxies, the sun and stars along the way. On the roof observation deck, visitors are invited to view the skies through telescopes and ask questions. Participants are welcome to arrive and leave as they wish between 8 and 10 p.m.
Star Parties may be canceled for cloudy weather. Questions about whether the weather is suitable for viewing should be directed to 217/206-8342 at 7 p.m. on the evening of the Star Party or follow the UIS Observatory on Twitter (@UISObservatory). WHAT: The University of Illinois Springfield Engaged Citizenship Common Experience (ECCE) Speakers Series presents “Can Technology Serve Social Justice?” featuring scholar and activist Virginia Eubanks. DETAILS: Despite widespread celebrations of Twitter Revolutions and social media activism, the relationship between new technology and the social justice goals of peace, freedom, equality and dignity for all people is deeply contradictory. In this talk, Virginia Eubanks will reflect on fifteen years of efforts with three grassroots organizations--Our Knowledge, Our Power: Surviving Welfare, the Popular Technology Workshops, and Women at the YWCA Making Social Movement-- to make technology serve the needs of oppressed and exploited people in the United States. Virginia Eubanks is the author of Digital Dead End: Fighting for Social Justice in the Information Age, and the cofounder of a number of grassroots community organizations focused on making technology serve social and economic justice. She teaches in the Department of Women’s Studies at the University at Albany, SUNY. In past lives, she edited the cyberfeminist ‘zine Brillo and was active in the community technology center movements in the San Francisco Bay Area and Troy, NY. 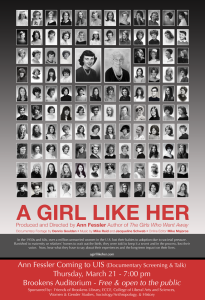 She received her Ph.D. in Science and Technology Studies at Rensselaer Polytechnic Institute. This event is co-sponsored by the UIS Women & Gender Studies and Computer Science departments. UIS Speaker Series presents "The American Roots of Latin American Boxing"
WHAT: The University of Illinois Springfield Engaged Citizenship Common Experience (ECCE) Speakers Series presents “The American Roots of Latin American Boxing” featuring Anju Reejhsinghani, cultural historian and assistant professor of Latin American and Caribbean history at the University of Wisconsin-Stevens Point. WHEN: Thursday, April 4, 2013 at 7 p.m. DETAILS: In this presentation, Reejhsinghani provides a comparative transnational examination of the American roots of 20th-century boxing in Mexico, Central and South America, and the Hispanic Caribbean. Until at least the 1960s, boxing served as a tool for the Americanization of Latin Americans, Asians, and, to a lesser extent, Africans. Reejhsinghani earned her bachelor’s degree in history at Princeton University and her M.A. and Ph.D. in history at the University of Texas at Austin. Reejhsinghani’s doctoral dissertation, “For Blood or for Glory: A History of Cuban Boxing, 1898-1962,” which she is revising for publication, examines the sport’s rise and popularization from the Spanish-Cuban-American War to the onset of the Cuban Revolution. She has contributed articles and book reviews to the Journal of Sport History and Journal of American Ethnic History and entries on Latin American athletes for the Dictionary of Caribbean and Afro-Latin American Biography. A former top U.S. amateur boxer herself, Reejhsinghani is co-organizing an interdisciplinary symposium, Fighting Women, in Toronto this June. This event is co-sponsored by the Organization of Latin American Students (OLAS), the History Club, and the Department of History. 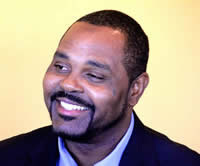 WHAT: Illinois Innocence Project exoneree Anthony Murray will speak about his case during a presentation at the University of Illinois Springfield. Murray will talk about his time in prison and the challenges he has faced following his release during the public presentation. WHEN: Monday, March 25, 2013 at 6 p.m. DETAILS: In 1998, Anthony Murray was convicted of first degree murder in Marion County and sentenced to 45 years in prison. In 2011-12, Illinois Innocence Project attorney John Hanlon, working with students from UIS, the University of Illinois, and Southern Illinois University law schools, reviewed Murray’s case. They discovered that Murray’s attorney knowingly called a witness who would incriminate his client. In June 2012, a Marion County Associate Judge ruled that Murray had received ineffective assistance of counsel and vacated Murray’s conviction. Under the threat that the state’s attorney would bring him to trial again, in order to gain his freedom Murray was forced to accept a plea to second-degree murder and was released on time served. By pleading to a lesser crime while still maintaining that he was innocent of all charges, the “Alford Plea” allowed him to return home to his mother and family, but left a stain on him and on what the Illinois Innocence Project believes should have been a complete exoneration, clearing Murray of all charges. For more information on the case, contact Larry Golden, Illinois Innocence Project director, at lgold1@uis.edu. WHAT: Healthy – FREE and fun activities, games, and screenings loaded with great ideas to become active, to eat healthier, and to live a healthier life. This annual fair takes place on the University Illinois Springfield campus and is hosted for the entire community. The goal of the fair is provide free services and to increase awareness on health issues which impact the health of community. This annual event is held in conjunction with national Public Health Week. WHO: Everyone is invited: individuals of all ages – with activities for children. The event is sponsored by UIS Health Services and developed in conjunction with Springfield Health Check. A list of 40 providers and activities are attached. All are volunteering their time and talent for this event. 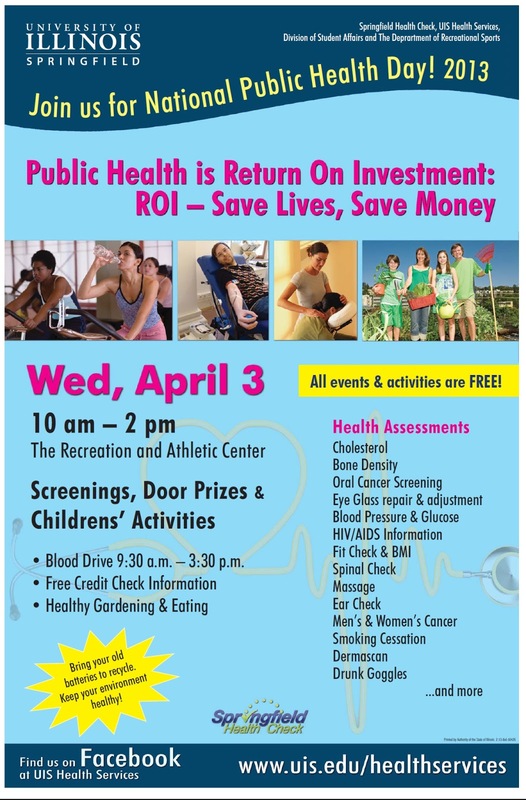 WHEN: Wednesday, April 3, 2013 from 10 a.m. to 2 p.m.
WHY: Americans are experiencing the impact of poor health choices. Rates of chronic health conditions and their associated costs are on the rise. According to the Trust for America’s Health, at least 30% of Illinois residents are obese. Obesity contributes to a list of other chronic diseases including diabetes and heart disease. Many of these conditions are modifiable through healthy eating, increased activity and preventive check-ups. This UIS Wellness Day offers each individual the opportunity to get their health numbers (bio-metrics), and to explore a range of options to live a healthier life. Healthier life-styles happen one choice at a time. Attending the UIS Wellness Day is a great choice to jump-start those healthy choices. UIS Lunch & Learn Series presents "Globalization - Where We Are Headed"
WHAT: The University of Illinois Springfield Alumni SAGE Society and Illinois State Historical Society presents “Globalization - Where We Are Headed” as part of its annual Lunch and Learn Series. WHEN: Thursday, March 21 from 11:30 a.m. to 1:30 p.m. DETAILS: This presentation will be led by Dr. Roy Wehrle, UIS professor emeritus of economics and public affairs, and Dr. Sanjeev Bharani, project team leader and supervisor at Caterpillar, Inc. The final Lunch and Learn event for the Spring Semester, “UIS: Leadership Lived – Distinguished Insights” featuring UIS Chancellor Susan J. Koch, will be held on April 25.